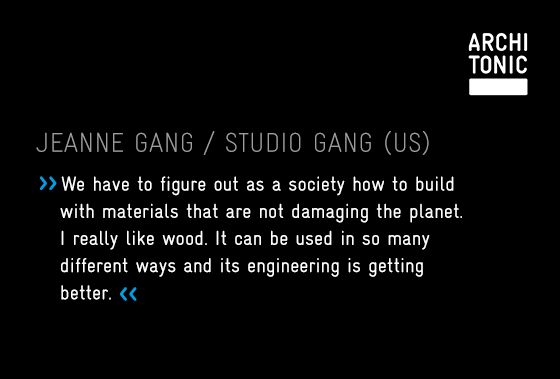 Material advancements, trends and tendencies, on the other hand, define a design’s cultural currency. 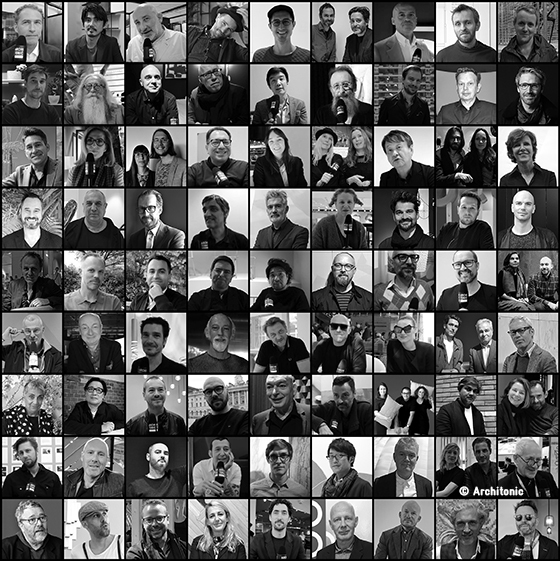 Architects’ and designers’ material choices, in this regard, can have long-lasting ramifications, and understanding the rationales behind these choices is often challenging. 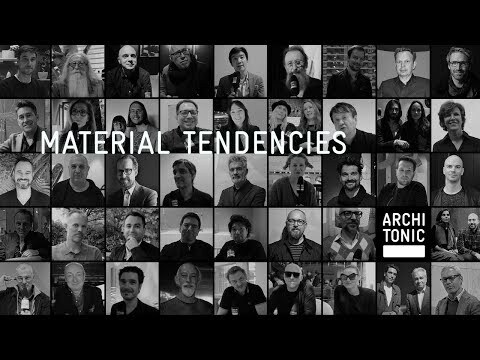 Starting in early 2015 until present, we have gathered exclusive insights from industry leaders who shared their opinions and experience when it comes to material choices, helping us all gain a more complete picture of the current material scene and better predict what lays ahead. We would like to thank everyone again for participating! Moreover, we have fought our way through thousands of numbers and collected tracking information, with a steady focus on materials and their relative popularity. 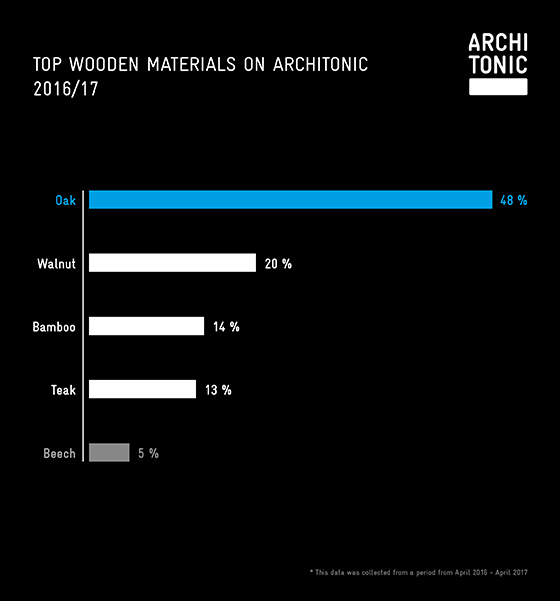 Architonic provides over 38,000 materials and finishes in its curated database – among 300,000 further products from 1,500 brands and 11,300 designers. 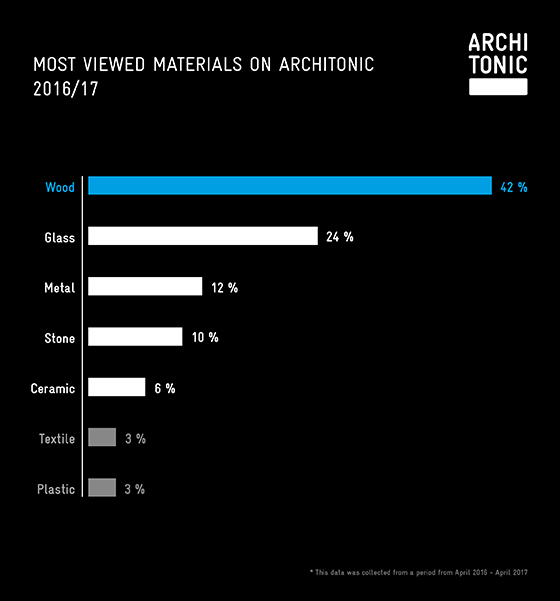 Based on the number of relevant search queries entered in the text-search field on architonic.com, we've identified the most popular materials reaching back to 2012! 16 million architects, interior designers and design enthusiasts annually choose Architonic as their guide to the very best. 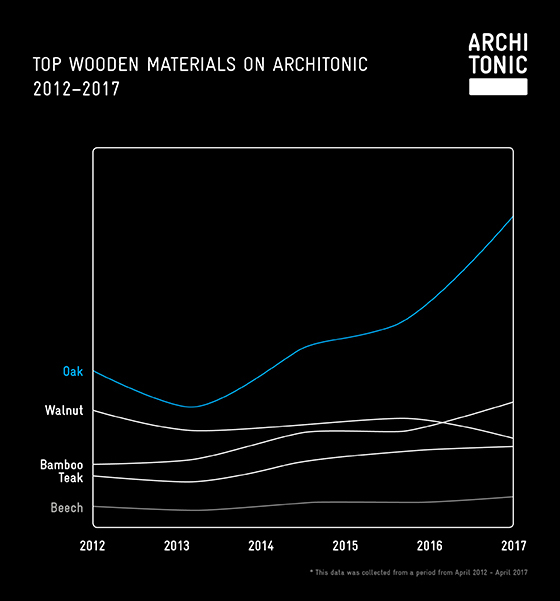 This gives us an insight into developments in the architecture and design markets, which we would like to share with our community. As a result, we present you with a comparative analysis - accompanied by current themes from the experts’ point of view - of the most searched-for key materials in the form of compelling infographics that reveal directions and tendencies. 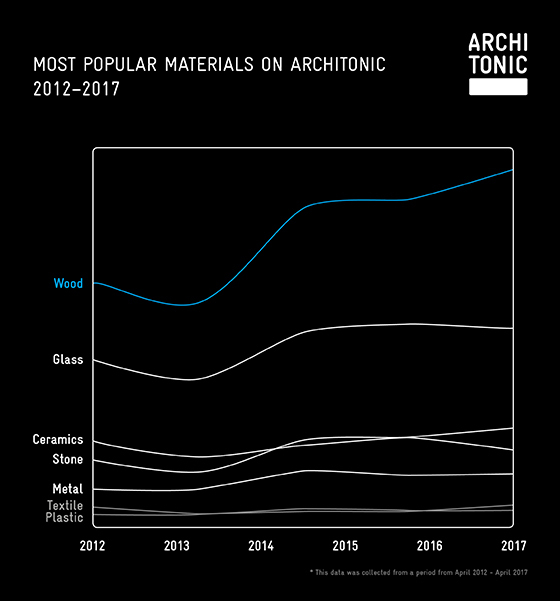 Followed by glass, it is impossible to miss that wood – one of the most ancient materials used for construction and fabrication – is the most popular material from perspectives of both designers and users. 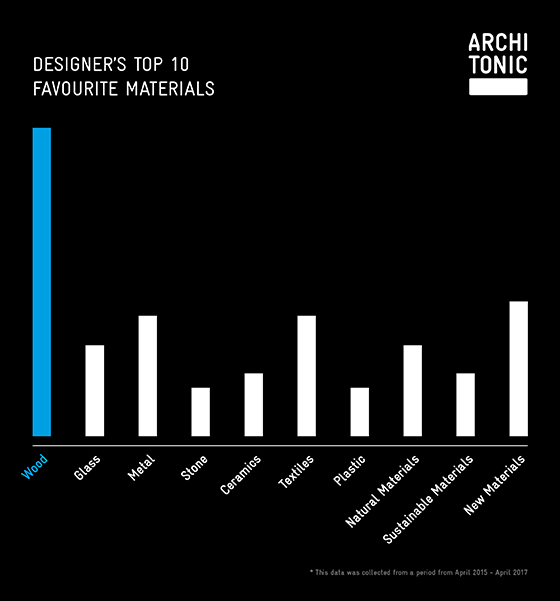 Culling qualitative data, we ranked designers’ favourite materials. To determine the user perspective we studied our audience’s active text-searches on Architonic. 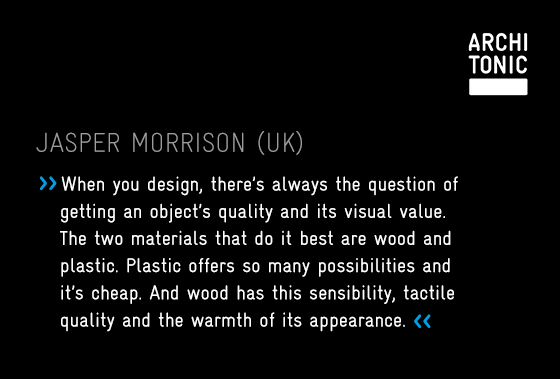 Behind wood, designers chose textile, metal and natural materials as their favourites. Diving deeper into the material results, when it comes to wooden types, the curves show clear directions. Whilst in the nineties it was all about beech (which seems to have all but vanished), it is now oak that reaches up high into the sky. The beloved walnut has left the race in 2016, meanwhile bamboo shows a slight, but continuous growth throughout the years. For all true materials lovers: we will follow up soon with a subsequent article presenting more material types and their popularity. 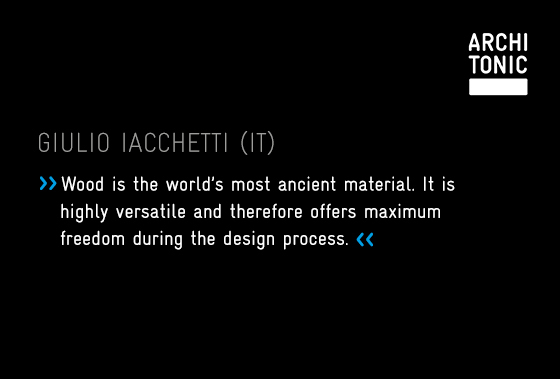 In the meantime we would like to invite you to explore and find your favourite material on Architonic!